The staff at Infinity Boutique/Skate Skins. Owner Pauline Spirito is pictured fourth from left. After 37 years of bringing unique fashions, stellar service and stunning selections to her dearly loved community, owner Pauline Spirito will hold a luncheon and Fashion Farewell “Thank You” Party, on March 23rd, from 12-5 p.m., at her Vinnin Square store at 427 Paradise Road for one final, fantastic celebration of gratitude to all her family, clients and neighbors. All are invited. Pauline began her entrepreneurial journey in 1979 by designing exquisite wearable art and skating attire for her daughter Stacey and her fellow skaters to enjoy. As many successful, exciting years unfolded, Infinity Boutique grew to be North Shore’s most notable and popular upscale fashion destination. For over three decades, Pauline has been Vinnin Square Plaza’s “leader and shaker” for countless charity events, shows, entertainment, for the pure joy of serving her local community with her signature personal service they deserve … and have grown to adore. Pauline has always been an advocate for women’s empowerment. 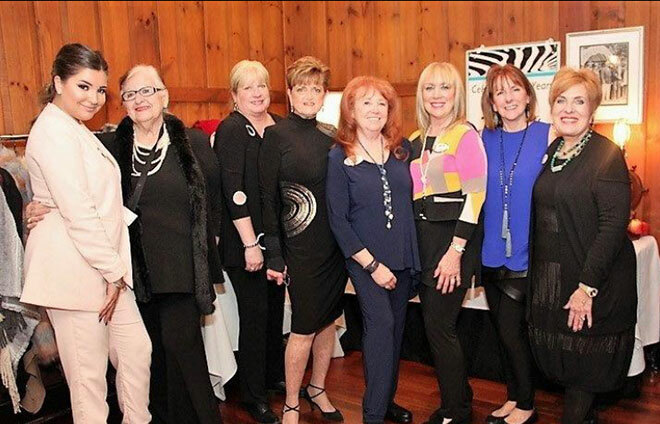 For this event, Spirito is supporting “Ruth’s Way for Women,” a non-profit community organization focused on assisting women in recovery, homeless women and female veterans. Guests are invited to bring donations of toiletries, paper products, non-perishable food items and cold weather accessories, in honor of Infinity’s Final Fashion Farewell. In these final days of business, Pauline and her team will be selling remaining apparel, jewelry, accessories, furniture, fixtures and equipment in their legendary boutique.